A story of youthful love, with the lack of money, abuse of drugs and pregnancy that goes with it. Playing with short The Hitch. Not as bad as is being reported. Come on people, I actually thought this was semi-entertaining. Where this thing falls down mainly is its attempt at being a little too Guy Richie'est. 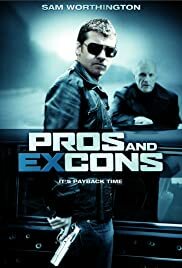 The comparisons are several and yes this is a weak rip off of Lock Stock, but its certainly not the worst movie I've ever seen. Another example of the internet breeding idiots all over the world. I'm sorry you all sat through this version of the film. The directors cut is supported by not only myself, but Sam Worthington, Steve Bastoni, Jason Crewes, Brian Cobb, David Wheeler and the lists goes on. Hopefully one day, the correct version can be released. Until then I hope you enjoy the future projects more than this one."